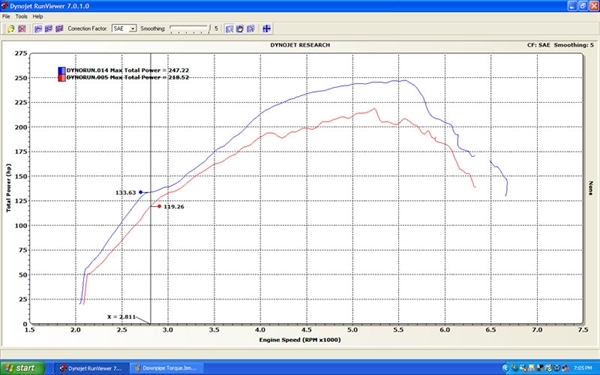 The stock downpipe on the MazdaSPEED6 leaves plenty of room for improvement. 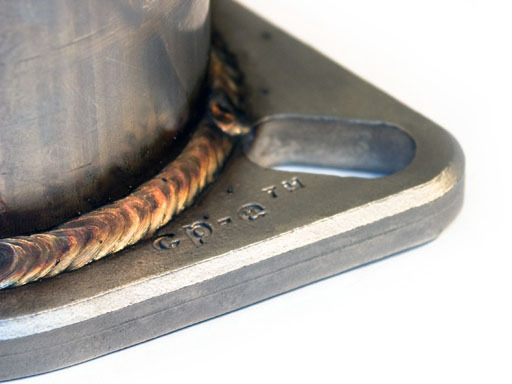 Loaded with crimps, sharp bends and two catalytic converters, there was much to improve upon. Custom Performance Engineering has completed development of its 3 inch down pipe system featuring mandrel bent stainless steel tubing and an optional high flow catalytic converter. 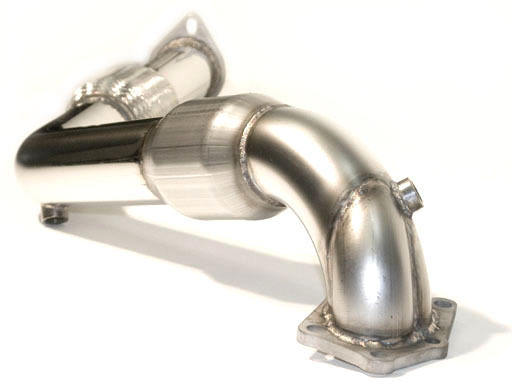 The catalytic converter features an all metallic honeycomb design, making it one of the most durable converters on the market. 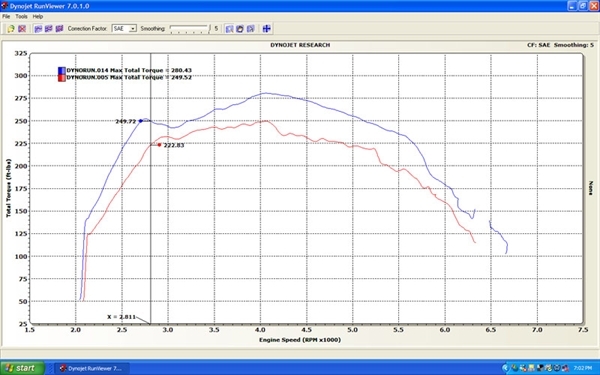 Please see the dyno results listed to the left (Dyno is with catalytic converter installed). Please note that everything on the test car, except the down pipe, was left completely stock. 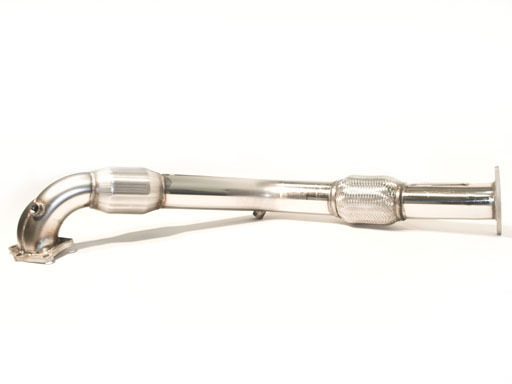 The cat-back system is manufactured using polished 304 stainless steel. All tubing is made in the USA by American Stainless Tubing, Inc.(ASTi) The tubing is all supplied in a super buff finsh exclusive to ASTi's manufacturing technology. 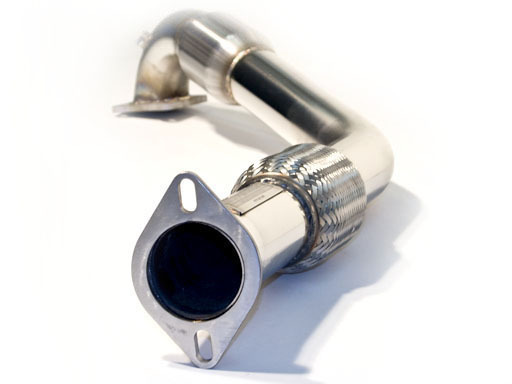 The downpipe comes complete with step by step color instructions and all the necessary hardware required for a complete and professional installation.